When you think of great examples of faith from the Bible, you automatically picture Abraham, who fathered the Hebrew people. His faith is legendary; so great that he was willing to sacrifice his only son to be obedient to God. Dig a little into businesses in the Bible, and you’ll uncover Abraham again. His business, which he built during his lifetime, likely extended to thousands of employees. (See The Good Book on Business, p.39) He probably built the largest business mentioned in the Bible. Did he grow his faith through business? I believe so. Is it a coincidence that the person whom the Bible portrays as the epitome of faith, was also the person who built a huge business enterprise? Ask any Christian business person who has been around for a few years whether their business has produced a greater faith in them. The answer will be a unanimous yes! There is something about the responsibility that comes with supporting employees. Not to mention, the commitments to customers and vendors that drive the business person to petition the Lord for intervention in his/her business. As I write this, one of the members of my Christian business mastermind groups is facing a financial crisis in his business. Within the next two weeks, something major must happen, or the business will go into bankruptcy and the owner will lose the business and his home. Do you think that CEO and all the Christians around him are desperately petitioning the Lord? God is using these circumstances to build faith through business! There is something about the ups and downs of the business world, the adversity, the disappointments, the hiring’s and firings, and the constant pressure of weighty decisions that cause a spiritually sensitive person to look for guidance from a higher power. That is, of course, exactly how God planned it. When he created work and business and assigned it to Adam, he set the precedent for all the generations that would follow. The first task God gave to Adam was to name the animals. God worked with Adam– teamwork – to accomplish that task. Before God created Eve, before family and spouses, before prophets and kings, before scripture, God created work. And by extension, business was created and instituted as a place where He would interact with mankind. Abraham is a great example of the process in action. While he had a modicum of faith as a young man, it took his lifetime to build the depth of faith necessary to willingly sacrifice his only son. That incident, which is the epitome of his faith, occurred when he was a very old man. It took a lifetime of interaction with God to build his faith to that depth. Abraham had no children until he was a very old man. What do you suppose he occupied himself with during his lifetime? How did he spend his days? Remember, he built a business that employed thousands of people. Ask any entrepreneur or business owner and they’ll tell you that it is possible to spend every waking moment in the business. Abraham spent most of his lifetime building his business. Like two threads of twine, Abraham built his business and built his faith at the same time. That interaction between faith and business was instituted by God at creation, and the precedent repeated over and over in the Bible stories – from the beginning to the present. That makes a Christian business one of God’s consistent tools for raising up people of faith, expanding the Kingdom, and impacting the world. A Christian business is a special entity in God’s eyes – a powerful and unique entity that can be used to develop faith through business. Yet, few people, even Christian business people, recognize it for what it is. A number of mistaken beliefs have shoved this fundamental truth of how God works with mankind to the sidelines of our belief systems. 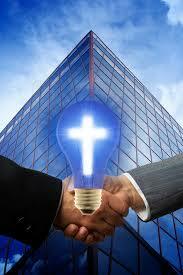 A far more common idea is that a business has nothing to do with Christianity. That Christianity is what you do in the church building on Sunday morning. And business is something different. 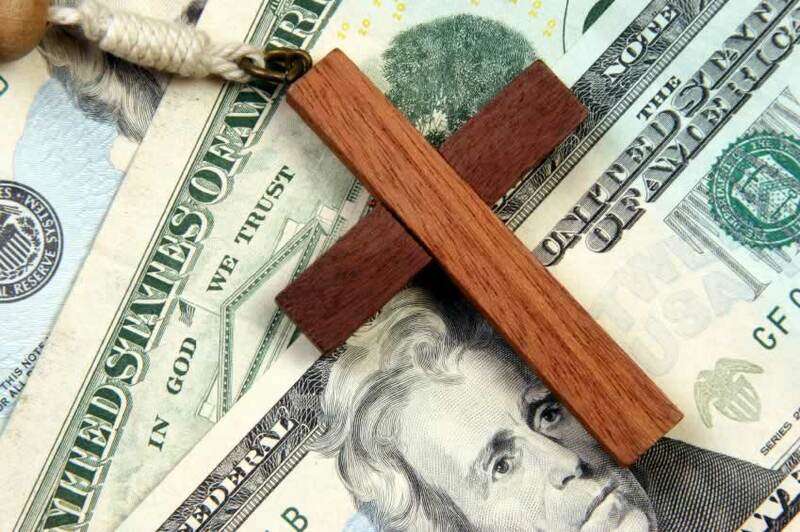 Another idea holds that the only purpose for a Christian business is to make money to support the religious establishment. A more recent idea holds that there may be some kingdom purpose for a business, but it is dependent on the degree to which that business promotes the agenda of the institutional church system. Unfortunately, these, and other inaccurate beliefs have served to dissipate the spiritual power of a Christian business. They’re shoved to the sidelines of the Kingdom. How sad. Millions of people could have been blessed by Christian businesses operating as if they were special ministries in God’s eyes. Yet, they missed that calling and opportunity due to the above factors. Millions could have been given a view of God’s presence through the actions of faithful Christian business people, full of the spirit and motivated by their special business ministry – and they weren’t. Certainly, it’s time to change that.